1. Simply take a picture of each receipt. 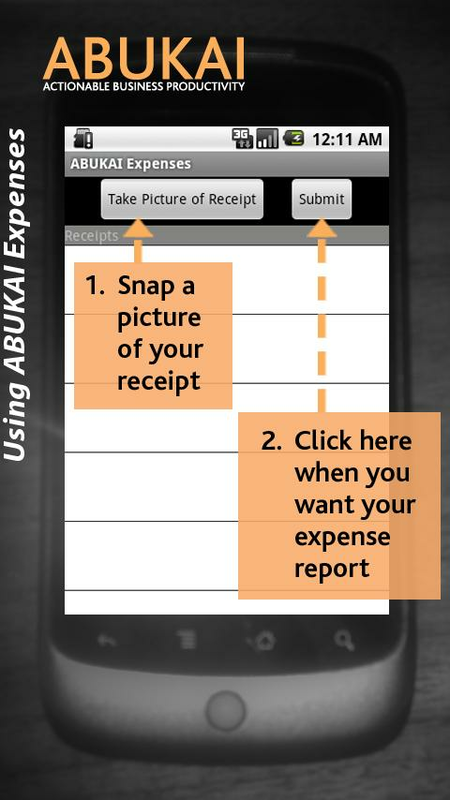 Youll receive a finished expense report with cost categorization, date, vendor & all other info filled in for you. 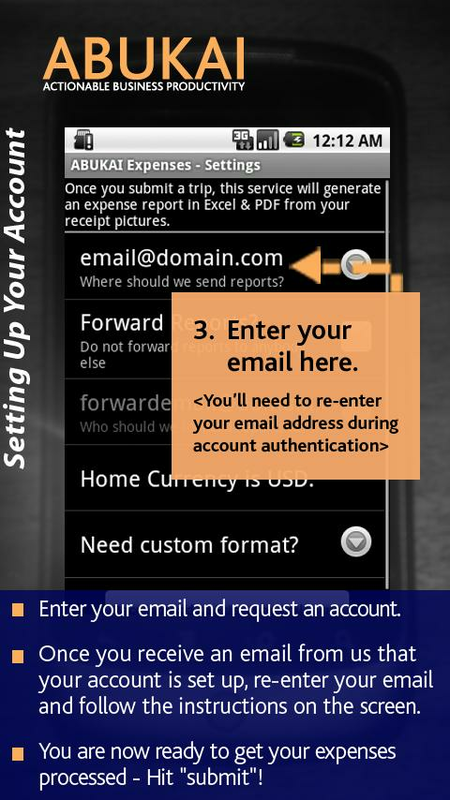 Note: to get the expense report, you will need to enter your email the first time you press submit and fill out the trial account form.